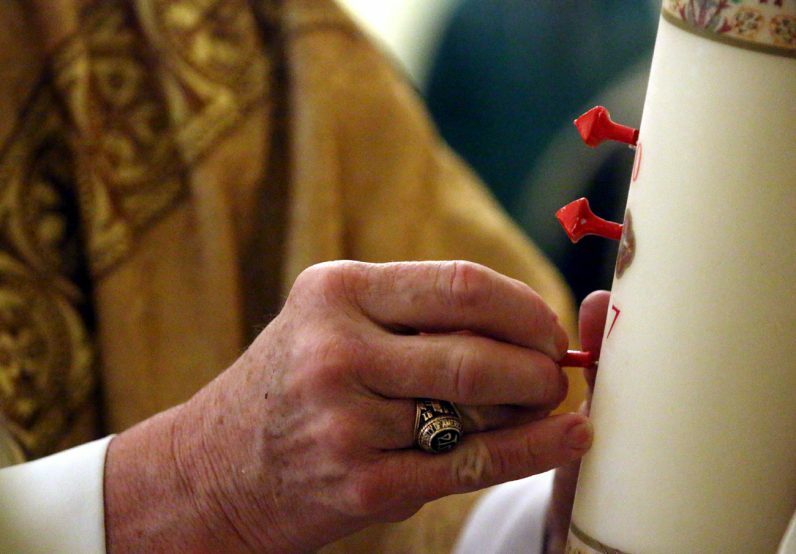 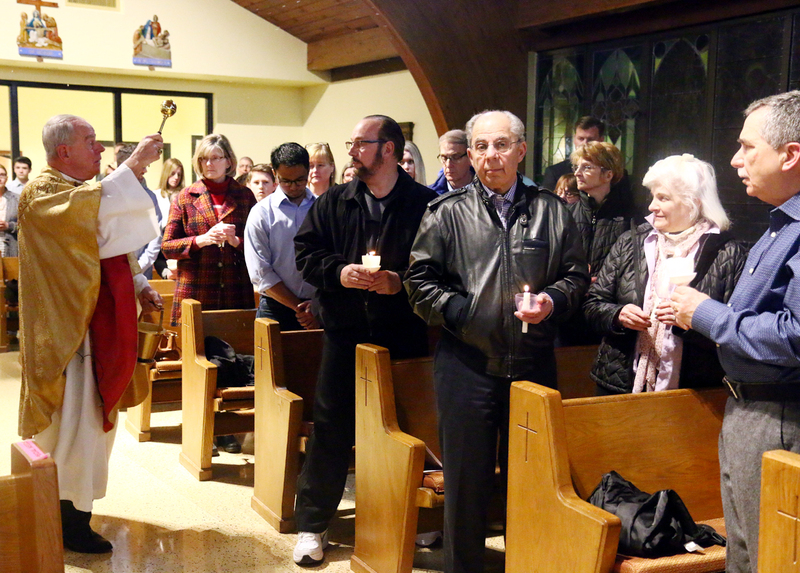 Father Joseph Dieckhaus pins the sign of the cross into the new paschal candle that was blessed at the Easter Vigil Mass. 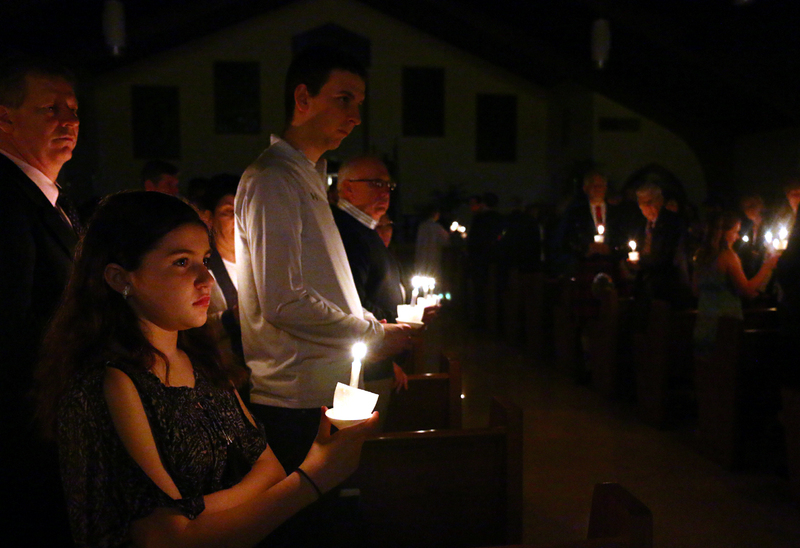 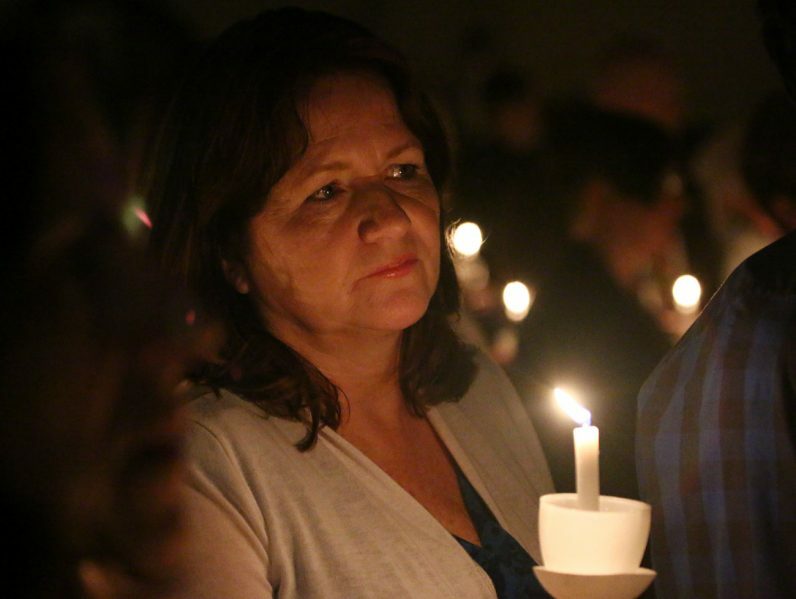 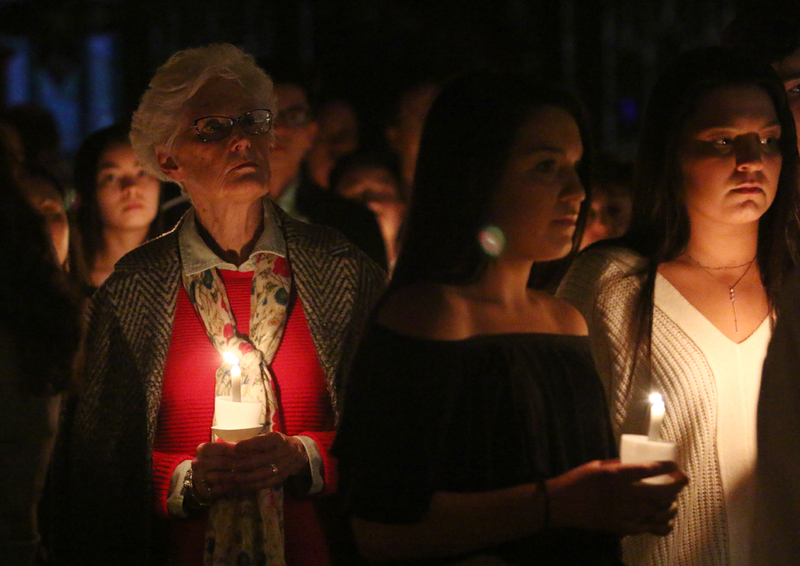 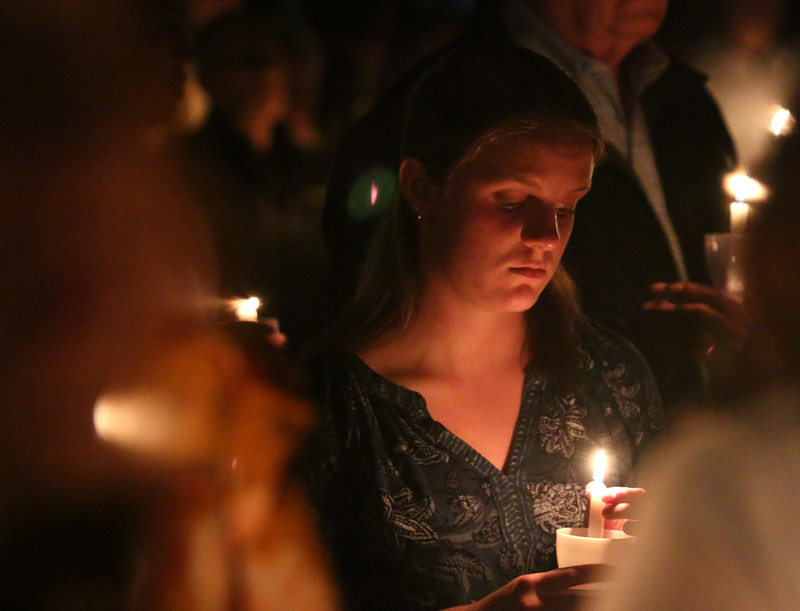 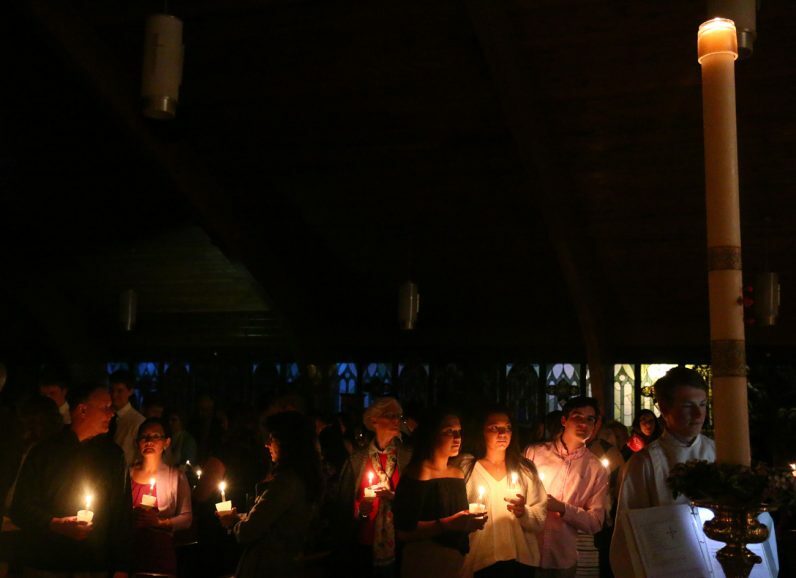 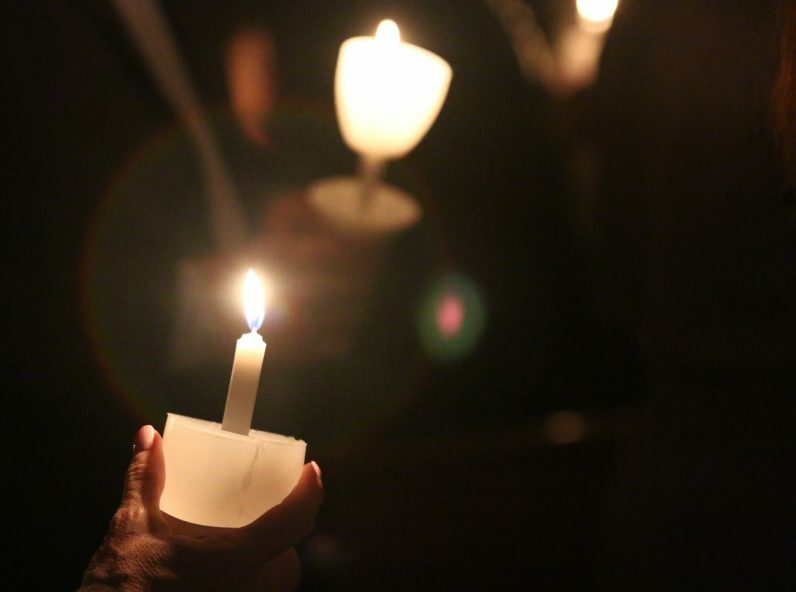 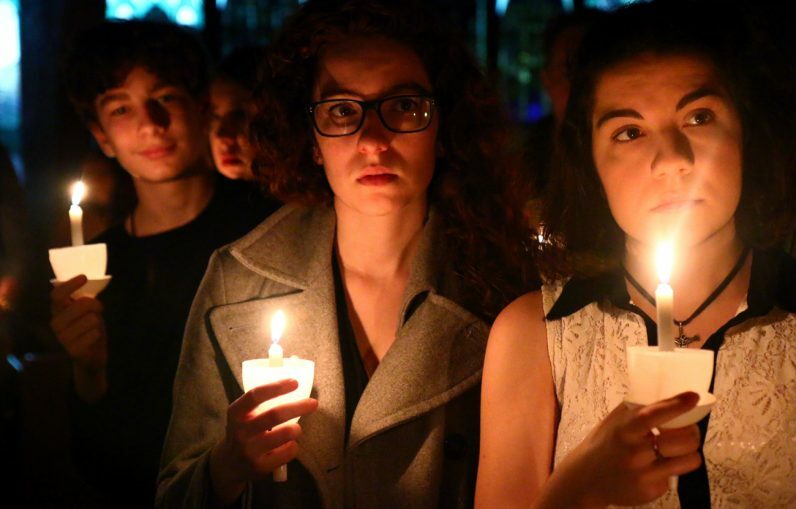 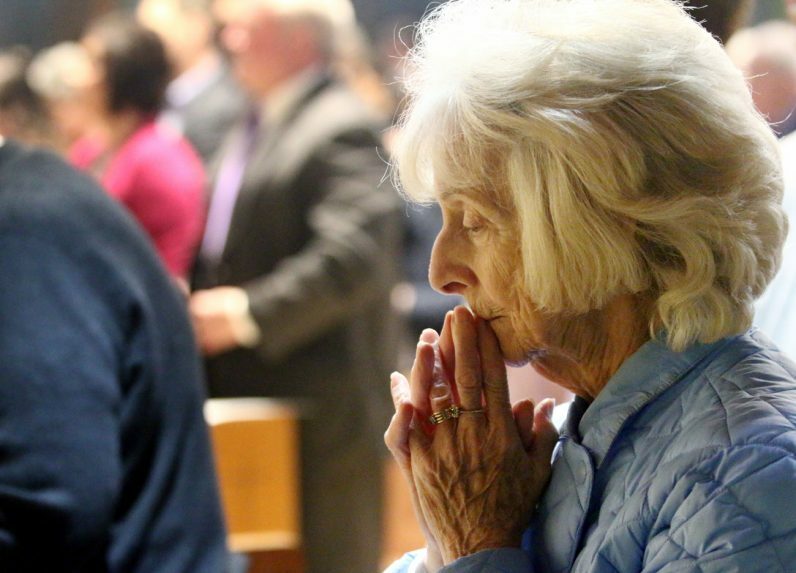 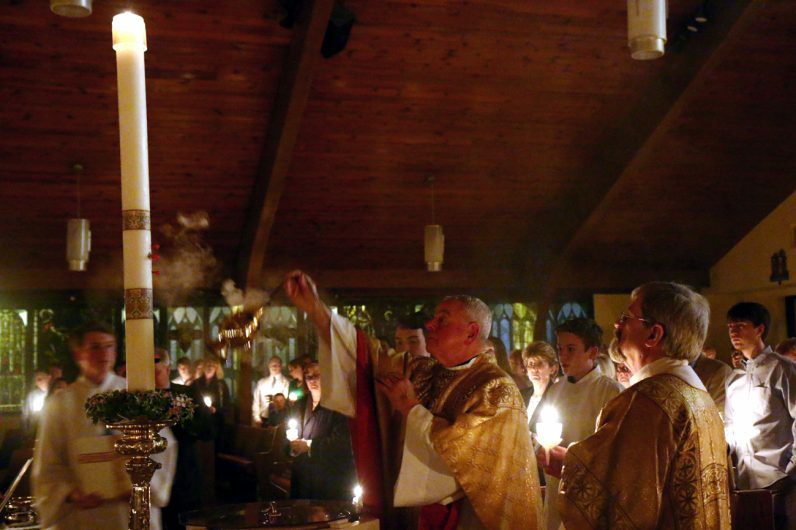 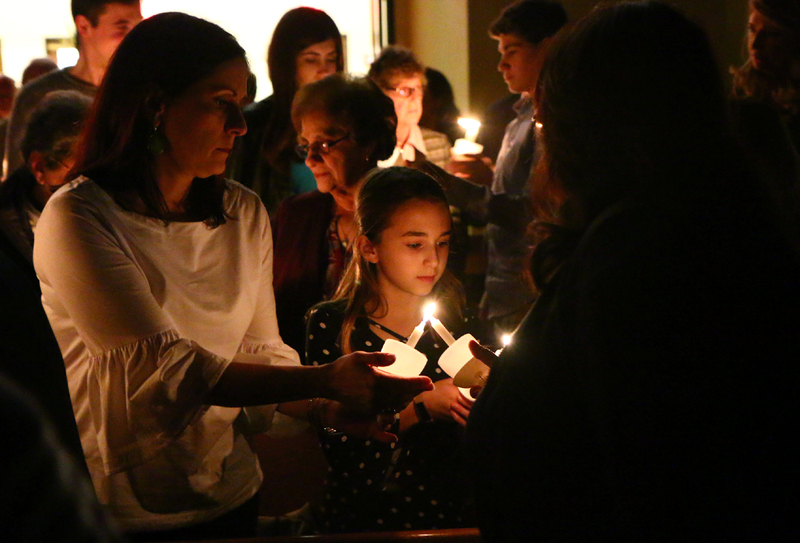 Parishioners each hold a candle during the service of light, the opening rite of the Easter Vigil Mass. 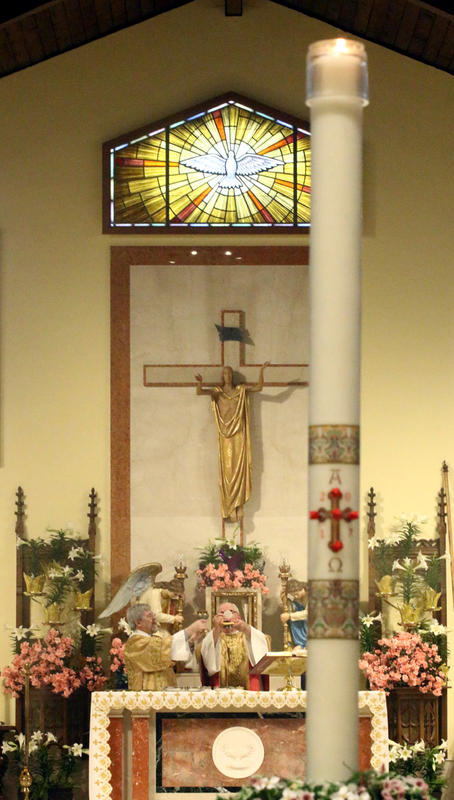 Father Joseph Dieckhaus incenses the paschal candle. 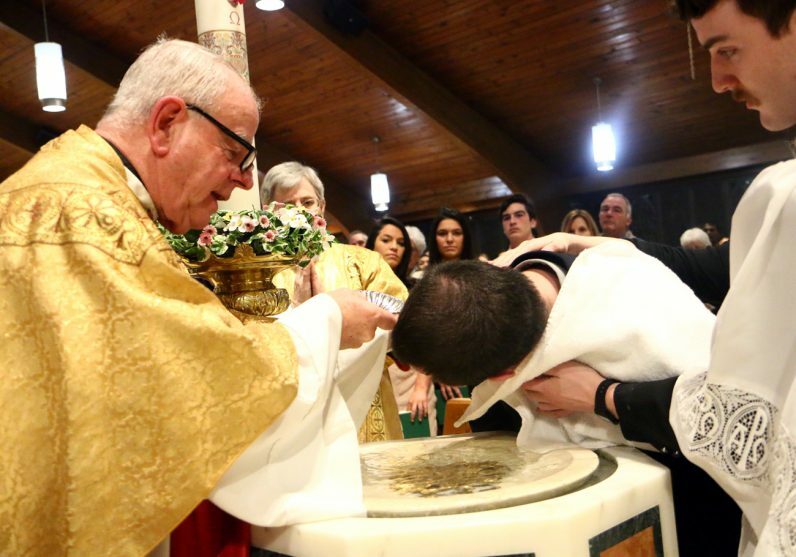 Father Joseph Dieckhaus baptizes Brendon Gillespie. 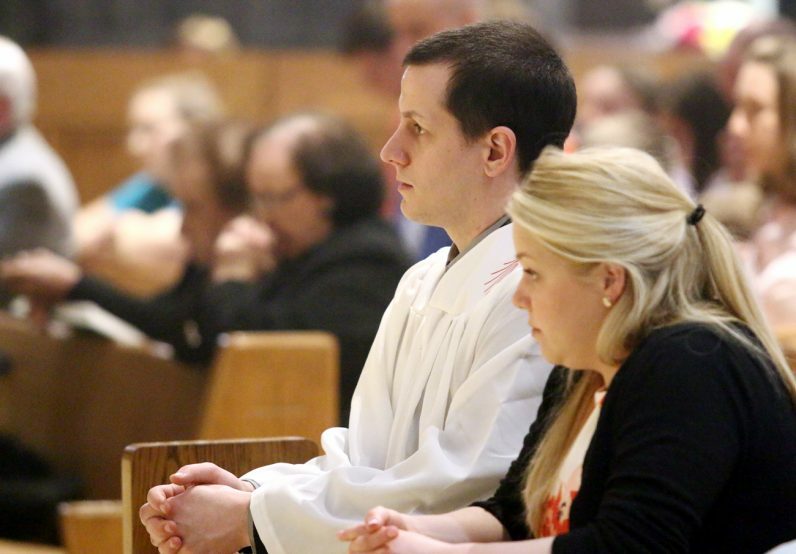 Father Joseph Dieckhaus confirms Brendon Gillespie with his sponsor and fiance Melanie Smith by his side. 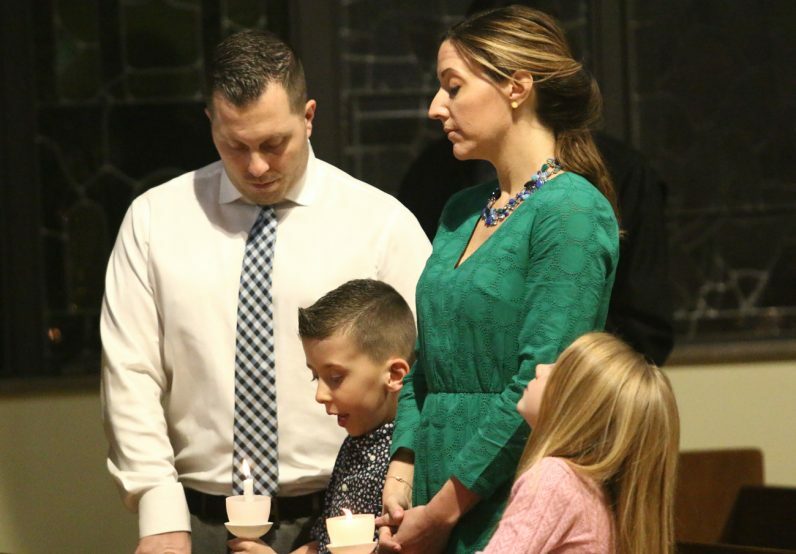 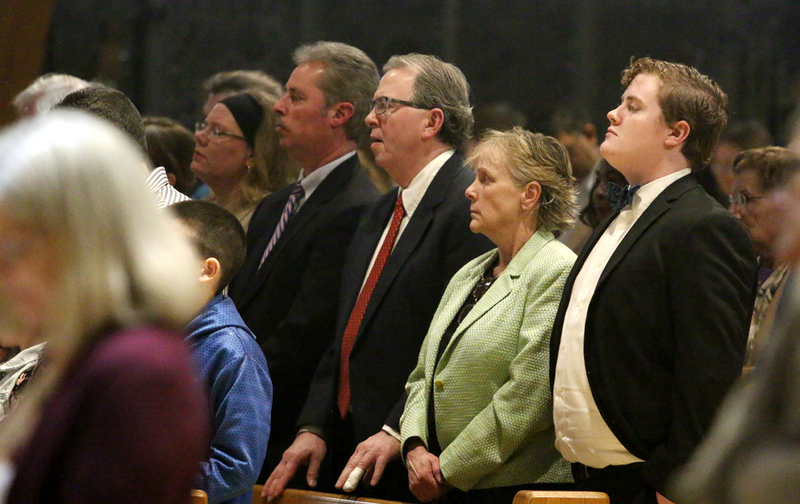 From left, Ralph, Dominic, Kristin and Juliana Gifoli pray together during Mass. 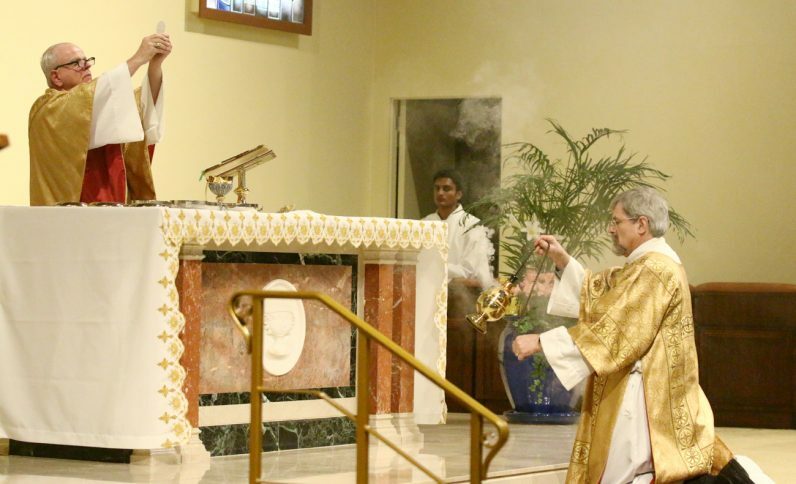 Father Joseph Dieckhaus sprinkles the congregation with holy water. 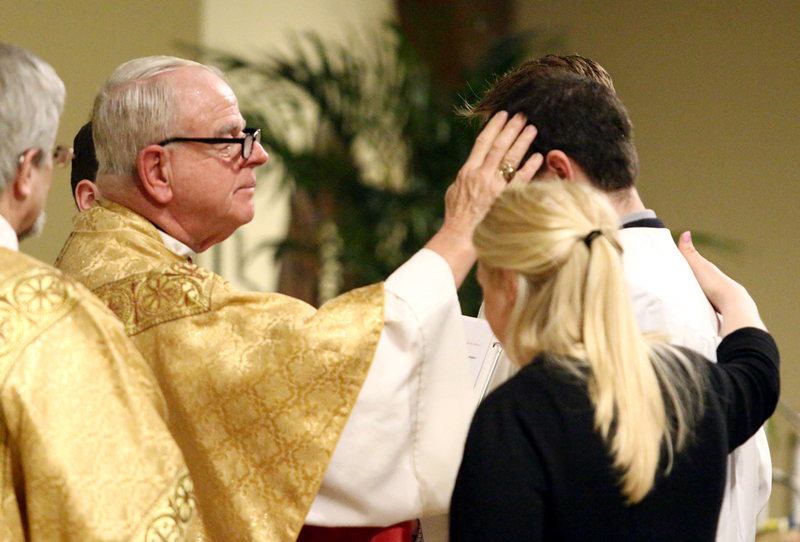 Father Joseph Dieckhaus consecrates the Eucharist while Deacon Charles W. Polley Jr. assists at the altar.